Are you looking for new ideas on keeping students engaged in your Payroll Accounting class? We’ve got some tips and techniques to help you change up your typical routine. There is no right (or wrong!) 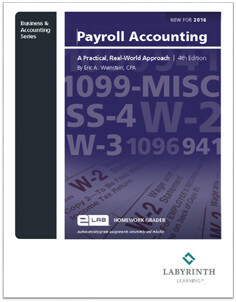 way to teach payroll, but we hope to help you optimize the results you can get this year. Finding the time to research new ideas and solutions can be overwhelming, so we have created a series of webinars that we’re sure instructors will find valuable this time of the year. Whether or not you are using a Labyrinth Learning Solution, tune in to a webinar to learn ideas, tips, and techniques for adding elements to your class, and improving student outcomes. Presenter Eric Weinstein, an instructor at Suffolk County Community College (NY), will share best practices for both in-class and online courses. Are you SURE you have the best materials for your course? Our fourth edition textbook comes with eLab for automated assessment. Who doesn’t like to have automatically graded practice sets – and lots of them! We think you’ll find that using our materials will provide your students with a significant advantage over their peers upon entering the workforce with the skills they need to be successful! Our product manager, Jason Favro, will present our text: Payroll Accounting: A Practical, Real-World Approach, and all of the solution elements that are complimentary for both instructors and students. Rick Street, Professor at Spokane Community College (WA) will join us to share his experience switching to Labyrinth, as well as the success he has had with his students using the this payroll accounting solution. Check out eLab – for automated assessment and grading! If you think that the Labyrinth solution might be just what you need to kick-start your Payroll class into gear – then join us for our webinar: eLab Homework Grader. Create assignments and tests for student practice, for homework, and for testing. We will have plenty of time to answer questions, and walk you through how easy it would be to switch to our Payroll Solution in time for January. The fall semester is beginning, and students are preparing to return to the routine of homework, all-nighters, and cramming for exams. The feeling of a fresh start that a new semester brings increases the motivation many students feel to apply themselves to their studies and succeed in their education. There are two types of motivation: intrinsic motivation and extrinsic motivation. Intrinsic motivation is an internal motivation driven by a desire to learn a subject or master a skill out of inherent interest and enjoyment. Extrinsic motivation is motivation to master a skill for the sake of achieving a specific result or goal. While extrinsic motivation can be effective in driving students to learn material and earn good grades in the short term, studies have shown that extrinsic motivators for success can reduce students’ intrinsic interests in the subject or skill. Following are four tips to help students develop intrinsic motivation to retain the knowledge and skills they gain in your class for the long-term. Show how the lessons are relevant to their lives and future careers. Students are much more likely to want to study and retain the material once they understand how the information will be useful to them. Show them examples of how concepts can by utilized in their personal and professional lives. Have students set performance goals. At the beginning of the semester, have students write down what goals they would like to achieve in your class by the end of the semester. Tailor assignments to these interests, and periodically check in with students to have them evaluate their progress and adjust their goals to the appropriate level of challenge if necessary. Give students options and control over their education. Give students options in their homework assignments and projects when possible. 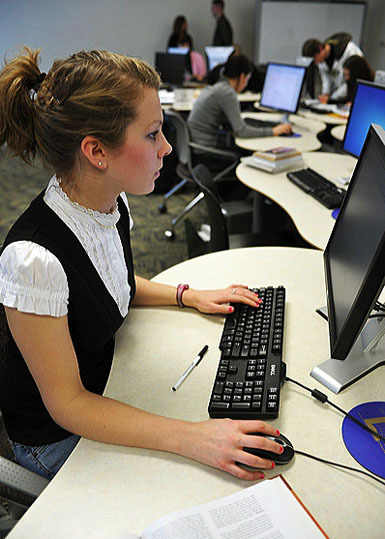 Let them choose topics for essays and research papers, and types of presentations for projects, whether it be PowerPoint presentation, oral presentation, video, or written report. Also use a variety of test types, such as multiple choice, fill-in-the-blank, and short essay. This gives students more control over how they demonstrate their understanding of the subject matter to you. Foster a sense of belonging in the classroom. 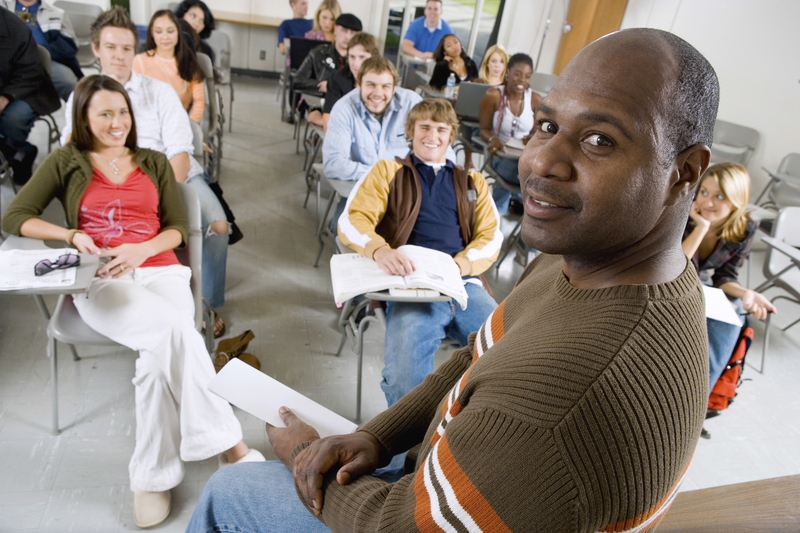 Students are more likely to be engaged and intrinsically motivated in the course if they feel a connection with their instructor and peers. Be warm and welcoming towards your students and make an effort to get to know them individually. Also, encourage class participation and create some group activities in order to prompt students to learn from and get to know each other. Labyrinth Learning’s full solutions provide a variety of materials to engage students and motivate them in their studies. Contact us today to learn more.